Bee has a huge fleet of tankers that operate to transfer products from our depots to the service stations and to our customers’ sites. Hadeed company has taken over the responsibility of all transportation activities for bee group. 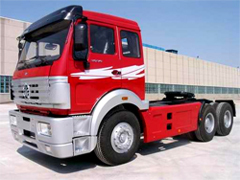 Hadeed Owns a fleet of chines North Benz Truck that operate in different region of sudan. 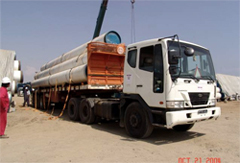 Bee Group is active in oil field and most of our constructor activity is using North Benz Truck. .
Transportation of the European Union Relief Aid for the Euro – Aid to Ethiopia in 2003. that job was highly praised by other competitors for the hard conditions under which the job was done. Bee was one of first Sudanese companies that participated in the building of the first oil pipe line built by the chines companies . we were assigned the constructor of 86 klms in the rocky area of western sudan . Because of our good performance int first pipeline we were invited to contribute in the construction of 220 klms in the second pipeline . this was one of the reasons that our relation with chines companies lasted for 25 years during which Bee was a major player in fuel supply ,construction and transportation .